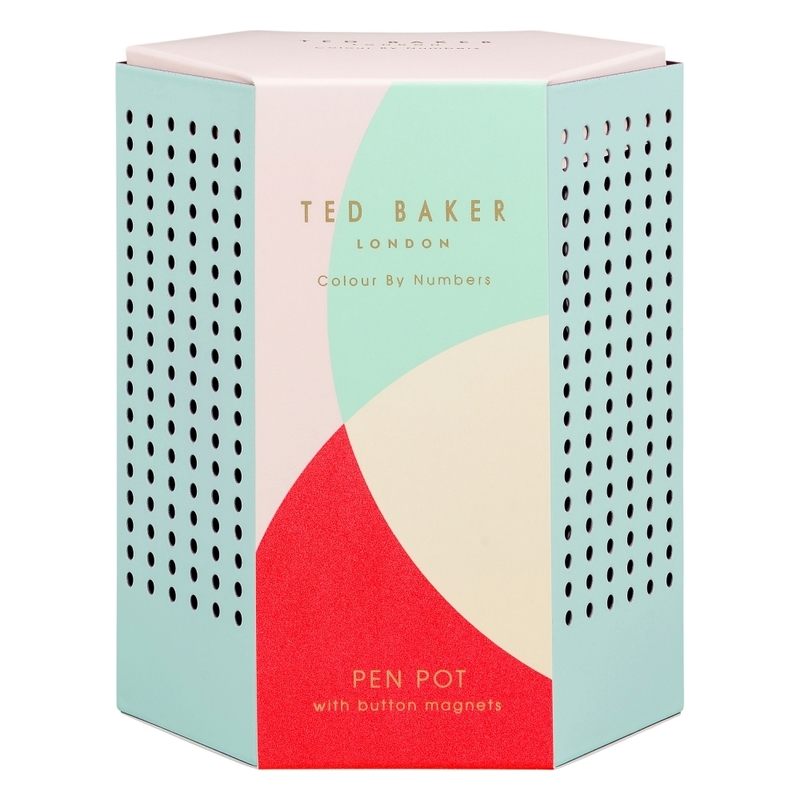 Stylish and decorative, this Colour By Numbers Hexagonal Mint Pen Pot with Magnets by Ted Baker is a practical accessory for your desk at home or in the office. Mint green in colour and in a hexagon design, this unusual pen pot can also hold important notes with the three button magnets. The 'Ted Baker' logo appears on one side in gold and on the removable card sleeve, it would make an ideal present for yourself or a special lady in your life.